if you have chosen to have an additional top line, tell us what you would like it to say! 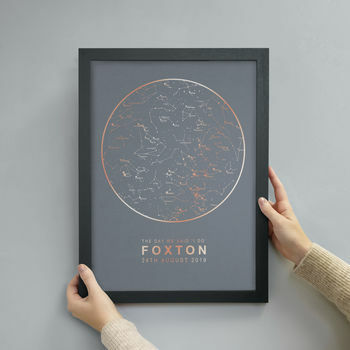 A personalised, twinkly, metallic map of the stars print with a choice of six background designs. 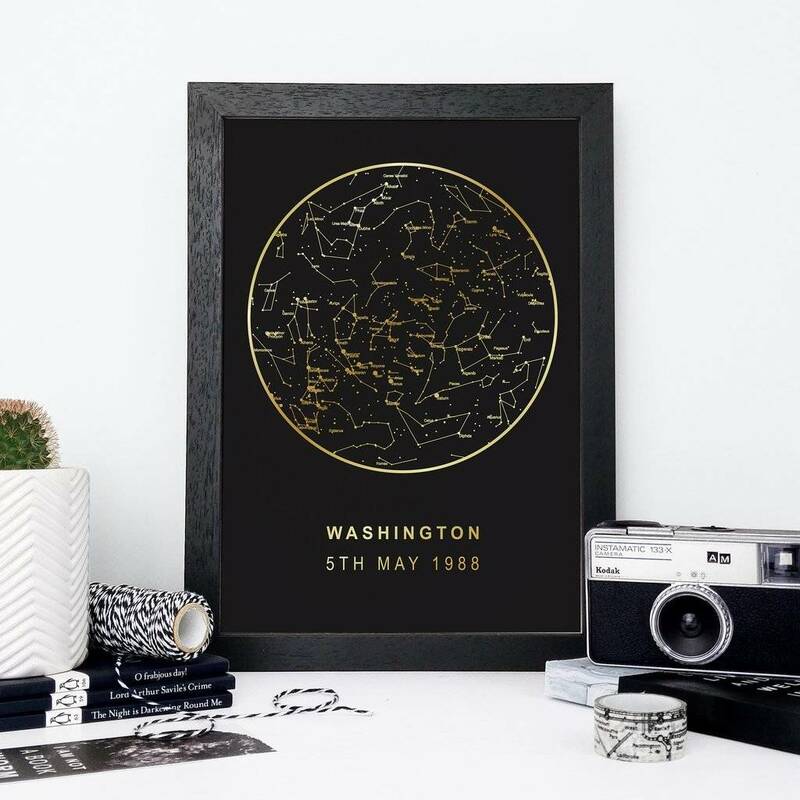 Our star maps show a completely accurate depiction of where the stars, planets and constellations were situated at the exact moment and location of your choosing. Simply tell us the location, date (this can be past, present or future), and time of the occasion you’re celebrating! 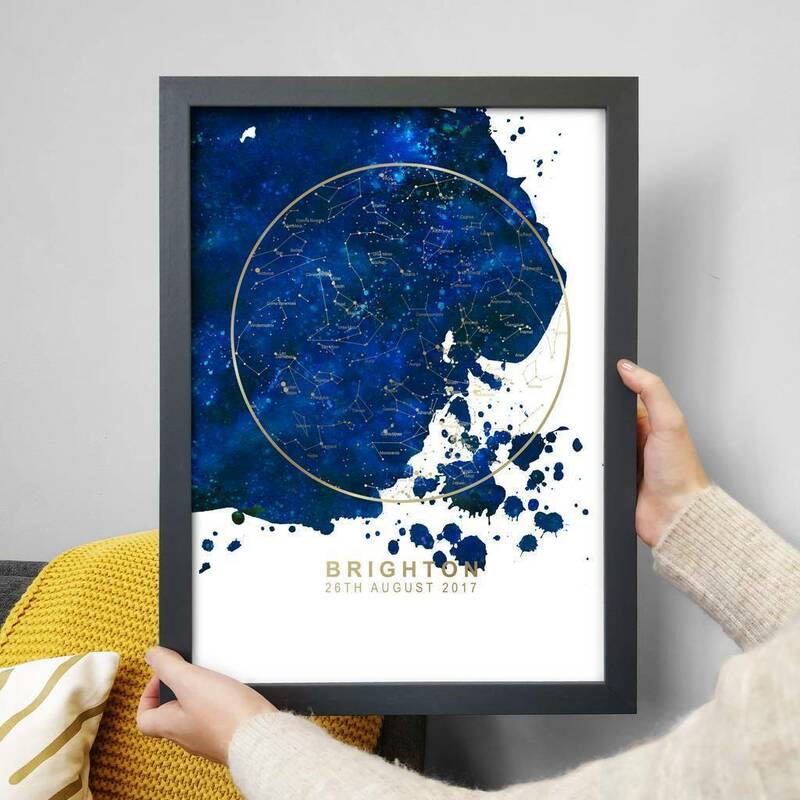 The text underneath the star map is simply the location of your choice, for example: Oxford, St Michael’s Church, Fiji and the date which will be written in full. E.g. 28th June 1994. 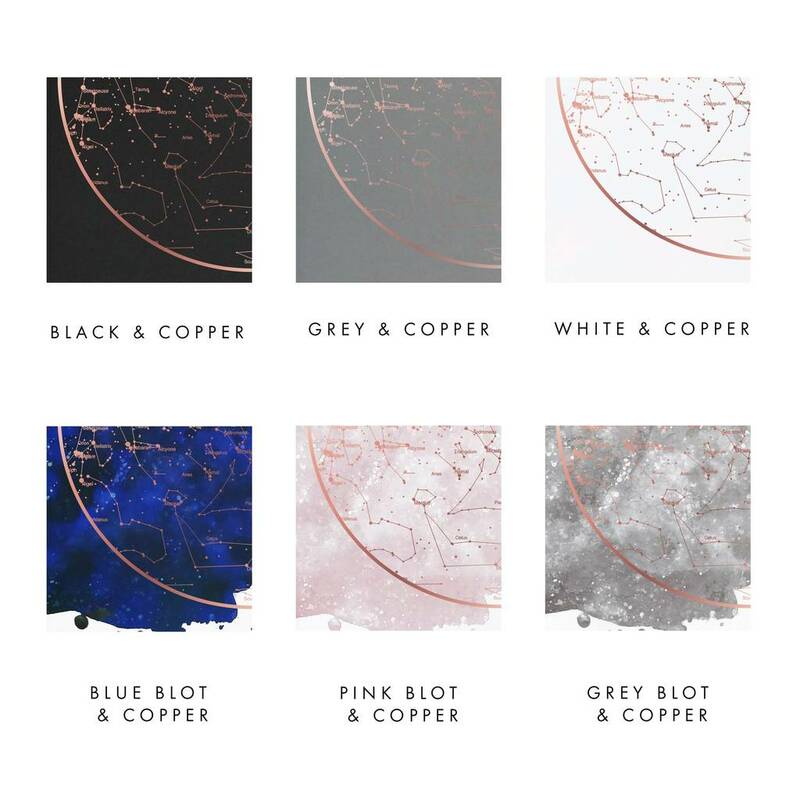 There are six background designs to choose from, and two foil colours. You can have gold or copper foil on solid grey, solid black or solid white, or a watercolour blot design in either grey, pink or navy. 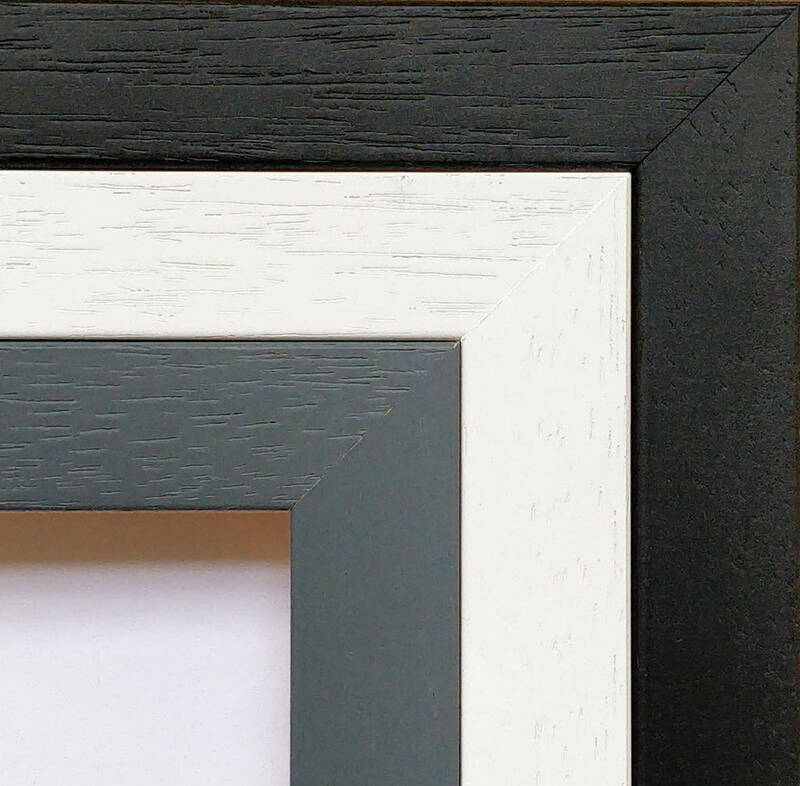 You can choose your size, and if you'd like a frame we have three colour options; grey, black and white. For a small additional cost you can choose to add a line of text (up to 25 characters) to go above your location and date. Examples of this would be: when your stars aligned, when you said I do, the day you were born, the moment we met. 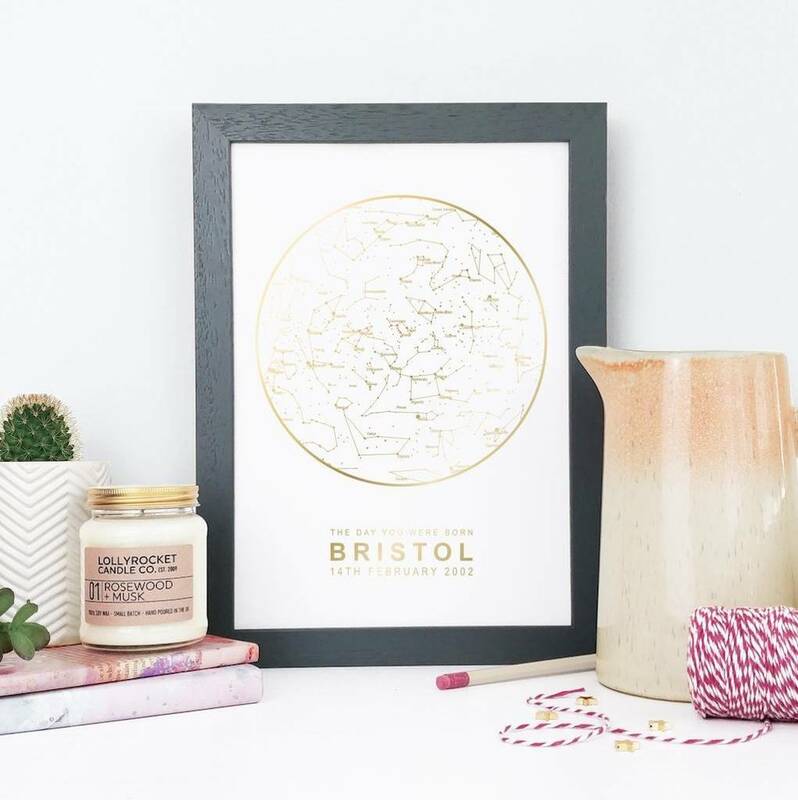 Our prints are hand foiled and this sometimes means that there may be a few tiny black crackles in the foil, but this adds to the charm! 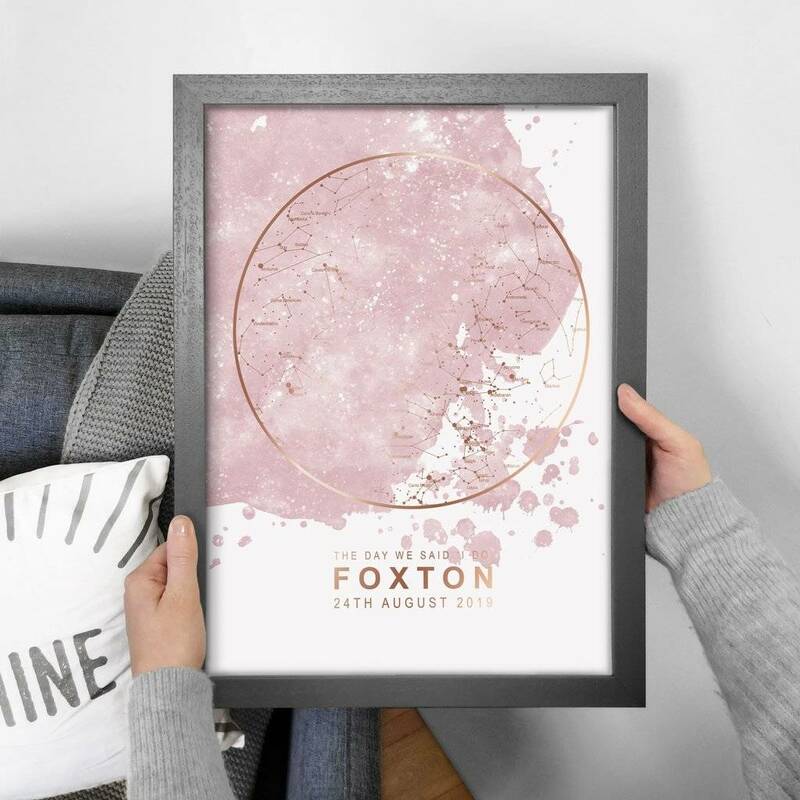 If you choose to have a frame, then your print will be professionally framed and glazed with shatterproof clear styrene. It is safe to post and looks just like glass. 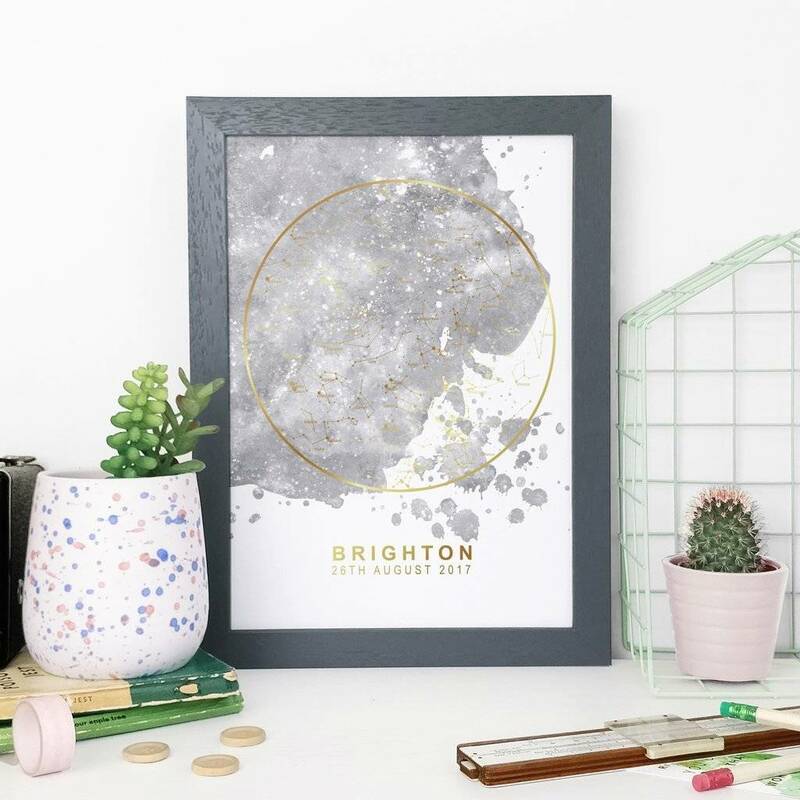 Unframed prints are posted flat in a board backed envelope or rolled in a tube and can be shipped internationally. A4 Unframed Print : 21 cm x 29.7 cm, A3 Unframed Print: 29.7 cm x 42 cm. A4 Frame: 24 cm x 32 cm. A3 Frame: 32cm x 45.5cm. This product is dispatched to you by Bookishly.